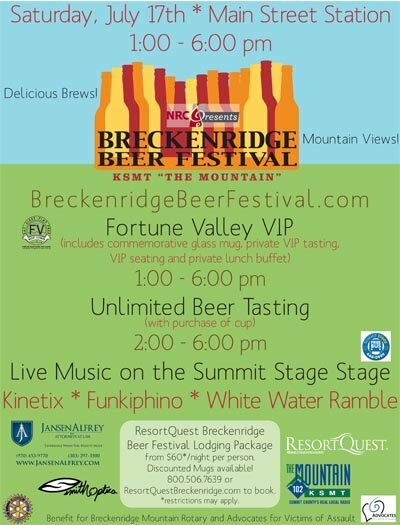 Great bands, crowds and gluten-free beer at the Breckenridge Beer Festival! On Saturday, July 17th, New Planet Beer traveled up to Breckenridge for a weekend of music, food, and great beer at the Breckenridge Beer Festival. The event was a great success, drawing large crowds of beer lovers and a collection of great breweries such as Stone Brewing Company, Widmer Brewing Company, and Sam Adams Brewing Company, who are not seen at many Colorado beer festivals. As with past festivals, New Planet Beer featured our Tread Lightly Ale and 3R Raspberry Ale at the Breckenridge Beer Festival. We are once again pleased to say that both styles of beer received much praise and were enjoyed as a refreshing summer treat by many. With fabulous bands, friendly crowds, and great craft beers, New Planet Beer recommends the Breckenridge Beer Festival to our friends and fans as a great opportunity to enjoy beautiful mountain views and some of the best brews around! See how New Planet Beer performed in a blind beer taste test. 1) The tasters knew that they would only be drinking gluten-free beer and had no prior knowledge of which beers would be part of the tasting. 2) They were able to taste the beers in any order. 3) They were able to return to a beer and re-taste it at any time. The eight beers were separated into two categories. Flight one was made up of “clear” beers: lagers and light ales which included: Lakefront Brewery’s New Grist, Bard’s Beer, New Planet’s Tread Lightly Ale and 3R Raspberry Ale. Flight two was made up of “opaque” beers: yeasty, Belgian-style ales which included: Green’s Tripel Blonde, Green’s Amber Ale, Zonder Gluten Belgian Wit and Green’s Dubbel Dark. 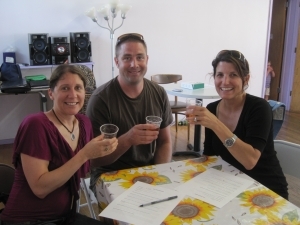 After the two categories were evaluated, the tasters were asked to rank the beers and choose which gluten-free beer was “best in show” overall. New Planet Beer’s Tread Lightly Ale ended up on top in the Flight one category, “3 out of 4 tasters rated New Planet’s Tread Lightly Ale their overall favorite.” We also were voted with top honors, “2 out of 4 tasters ranked New Planet’s Tread Lightly Ale their Best in Show.” We invite you to read more about the blind beer test and see what people had to say about the New Planet Beer and the competition. As members of the Colorado Brewer’s Guild, New Planet Beer had the pleasure of attending the 14th annual Colorado Brewer’s Rendezvous on July 10th in Salida. Organized by the Colorado Brewer’s Guild for member breweries and pubs only, the Rendezvous features only Colorado-made craft beers. With nearly 50 breweries and pubs in attendance and over 75 beers on tap, the Rendezvous featured a beer for every taste, and enough beer to satisfy every one of the festival’s 2500 guests! New Planet Beer tapped a keg of our new 3R Raspberry Ale and served Tread Lightly Ale from bottles at the Brewer’s Rendezvous. People who sampled our beer commented on it’s drinkability and good taste. If you didn’t attend this year’s Colorado Brewer’s Rendezvous and want to make sure not to miss out on future events and tastings, check out our events page for opportunities to join in the fun with New Planet Beer. Are you experiencing a shortage of Tread Lightly Ale? If your store is out of New Planet Beer, don’t worry – we have new stock on the way. New Planet Beer has some exciting news to share – our beer is going to be brewed in a new and bigger facility! What does that mean? Well, Fort Collins Brewery, who we contract to brew our beer, has upgraded their production facility so they can brew even more beer, which means more New Planet Beer for all of you. In the short term you may experience a shortage of Tread Lightly Ale in this transition, but don’t fret because in August we’ll be back in full stock and ready to serve our fans. After this move you should experience less Tread Lightly Ale shortages in the stores you frequently visit. Don’t forget we just launched 3R Raspberry Ale, so if you don’t see that on the shelves, please let that store know you’d like them to carry the product. It takes fans like you to help gluten-free customers get the selection they deserve. Thanks for all of your support during this transition and we’ll make sure the beer is heavily stocked going forward. https://www.newplanetbeer.com/wp-content/uploads/2010/06/TL-FC-12oz+glass-Sm.jpg 700 398 GFBeer https://www.newplanetbeer.com/wp-content/uploads/2016/01/mobile-logo.png GFBeer2010-07-12 12:40:452010-07-13 09:49:16Are you experiencing a shortage of Tread Lightly Ale? 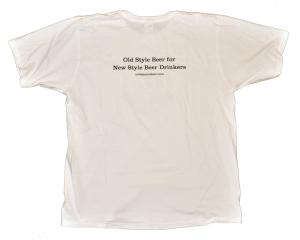 For a limited time you can buy Tread Lightly Ale t-shirts online to rep the “Old Style Beer for New Style Beer Drinkers” motto. The Tread Lightly Ale t-shirts are available in city green, green apple or white and in men and women sizes for $19.99 plus shipping. 3R Raspberry Ale is great! But… what foods should I pair it with? At New Planet Beer we really enjoy pairing great food with great beer. In the past we have shared a beer-battered fish and chips recipe with you and plan on continuing the trend of suggesting gluten-free recipes that incorporate or can be served to complement New Planet Beer’s different styles. Fruitier pale ales complement cuts of meat quite nicely. Choose lamb or beef for the best pairing, but other meats will work as well if they are broiled or grilled. Fish and other seafood can be paired as well, but make sure to choose a strong-flavored fish as the pronounced taste of 3R Raspberry Ale might downplay the flavor of a piece of cod or mahi-mahi. Not a meat eater? Consider pairing 3R Raspberry Ale with dessert! Light souffles or chiffon cakes are the top pick when prepared with fruit. Keep desserts light and avoid chocolaty pairings for the best results. If variety is what you’re seeking or another refreshing gluten-free beer that is perfect for barbeques, 3R Raspberry Ale is the perfect summer compliment. 3R Raspberry Ale is a Colorado craft brew with a well-balanced ale taste, made from fermented sorghum and corn, natural raspberry puree, orange peel, hops, and yeast. Not overly sweet, the Oregon grown fruit puree creates a beautiful body color with a natural raspberry flavor. The beer has 160 calories, contains 5% ABV and is certified gluten-free. Reduce, Reuse, and Recycle – the 3 Rs of waste reduction education. By reducing the materials we use, reusing what we already have, and recycling what we did use, we can help promote and protect a healthy environment. 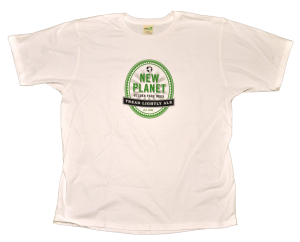 New Planet Beer will donate a portion of proceeds from the sale of 3R Raspberry Ale to non-profit organizations in Colorado who are promoting the Reduce, Reuse and Recycle educational philosophy. On June 18th, New Planet Beer invited several of our gluten-free fans to Kakes Studios in Boulder for a tasting of some of the new styles that we’ve been working hard to perfect. To start things off, we offered tastes of Tread Lightly Ale, our flagship style. Still a favorite, our patrons enjoyed Tread Lightly Ale’s light and refreshing taste. Next we offered pours of our 3R Raspberry Ale; it was well received and perfect for the warm Boulder day– 3R Raspberry Ale is definitely going to be popular among New Planet Beer drinkers this summer. Next, we had our tasters enjoy and give us feedback on two styles in the works, an American-style Pale Ale and a European-style Pale Ale. Designed to deliver that hoppy scent and flavor of traditional APAs, our version of the American-style Pale Ale was well received, with the vast majority of our tasters giving us raving reviews. The beer was described as “hoppy”, “delicious”, and “exactly like the APA’s I used to drink”. Our European-style Pale Ale also received some positive reviews and our tasters provided us with a lot of valuable feedback that will help us make improvements to our recipe. We really value our fan’s feedback so we can continue to make improvements to our gluten-free beers. 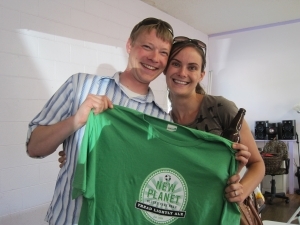 Keep checking our upcoming events page so you can also have the opportunity to sample New Planet Beer. New Planet Intern gives us the inside scoop on his internship and sorghum. 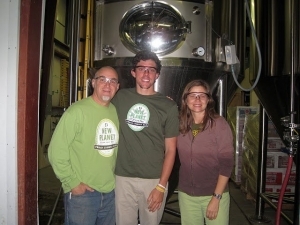 New Planet Beer intern, Ryan Gaterman enlightens us on what he’s learned so far during his summer internship. Before working with New Planet Beer, I was a bit unaware of gluten-free diets and the processes behind gluten-free products. After working for a few weeks and attending the Rocky Mountain Brewfest in Fort Collins, CO, I have learned much more about the beer industry than I thought and what it takes to brew certified gluten-free beer. I’ve found that in the wonderful world of beer, unless you’re gluten-free, many people don’t know what separates New Planet’s Beer from other beer brands. 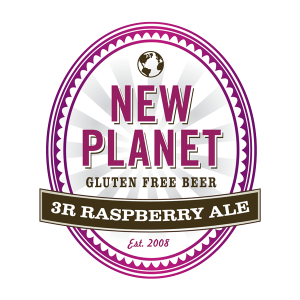 New Planet Beer’s selection is strictly gluten-free and the ingredients and recipes for Tread Lightly Ale and 3R Raspberry Ale are like no other. I explain to consumers, aside from an outstanding taste, that New Planet Beer uses sorghum instead of wheat, thus making New Planet Beer gluten-free. For those who don’t follow a gluten-free diet or don’t know their crops well, they may ask, “What’s sorghum?”. If you have yet to try a beer brewed with sorghum, now is the time to start! Whether it be gluten sensitivity or a diet choice, have a taste of New Planet Beer and you’ll be satisfied. https://www.newplanetbeer.com/wp-content/uploads/2010/06/Sorghum.jpg 432 640 GFBeer https://www.newplanetbeer.com/wp-content/uploads/2016/01/mobile-logo.png GFBeer2010-06-27 16:59:292010-06-29 12:08:13What's Sorghum? What goes well with World Cup Soccer? Gluten-Free Fish & Chips and of course New Planet Beer’s Tread Lightly Ale. I’ve been wanting to experiment with making gluten-free beer battered fish ever since learning that Udi’s Café in Grandview serves a Fish & Chips made with Tread Lightly Ale (as well as fantastic gluten-free pizza, and sandwiches). So after searching around a bit I decided to use this adapted recipe from COOKS.COM. Preheat oven to 250°F. Gently wash the fish in cold water, make sure to pat the fillets dry with plenty of paper towels. 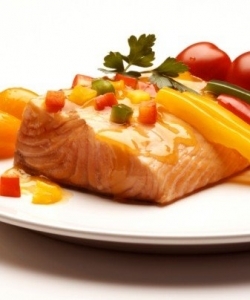 For large fillets, you may want to cut the fish into smaller pieces. Mix dry ingredients in a large bowl. Mix beer and eggs separately then stir into dry ingredients, mix until smooth. Place fish fillets in batter mixture; coat well, and let stand for 10-15 minutes. Heat oil to 350°F; gently place small batches of fish in oil to avoid dropping the oil temperature. Fry until golden brown, about 5 to 8 minutes, turning the fillets regularly to prevent scorching the batter. Remove fish to paper towels to drain excess oil. Keep warm in oven until all the fish are cooked. For a more authentic fish, use cod and skip all the seasoning except the salt. However, spices give the batter a little more flavor than the beer alone would. This batter works well with all kinds of fish and shrimp. If you want to eliminate the beer, try using milk. It took a while to fry each of the pieces individually so it helps to have a low heat oven to keep the fish warm. We used Grapeseed Oil as it has a high flash point and good fats. We served it with red potato “chips” and some over cooked broccoli (appropriately British). The taste was subtle but enjoyable. Pedro commented he hadn’t had breaded fish in probably 10 years. We did use Atlantic Cod which turned out to be quite expensive (over $14.00/lb) but amazingly light and flaky. Most interesting was the fish tasted even better the next day cold! UK chippies traditionally use a simple water and flour batter, adding a little bicarb soda (baking soda) and a little vinegar to create lightness as they create bubbles in the batter. Other recipes may use beer or milk batter, where these liquids substitute for water. The carbon dioxide in the beer lends a lighter texture to the batter, and also an orange color. A simple beer batter might consist of a 2:3 ratio of flour to beer by volume. The type of beer makes the batter taste different: some prefer lager whereas others use stout and bitter. In all cases, the alcohol itself is cooked off, so little or none remains in the finished product. Given that Tread Lightly Ale is a light tasting beer, that is probably the reason for our subtle tasting beer batter. Next time we hopefully will have our hoppier beer available and I will give it a try. Have you tried a gluten-free beer batter recipe? What is your favorite recipe to cook with using beer?